Dig into historical brilliance of this country with its 27 world heritage sights. Among these 27 sites 22 are Cultural Properties and 5 are Natural Properties. These have outstanding universal value according to the World Heritage Committee. 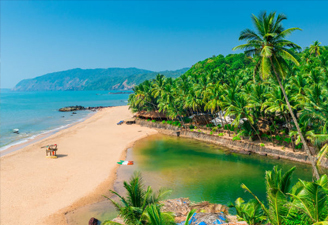 Some of the World Heritage sites in south India include Ajanta Caves & Ellora Caves, Aurangabad, Elephanta Caves, Mumbai, Chhatrapati Shivaji Terminus; Mountain Railway of India etc equipped your knowledge more about these sites with us. And get in touch with our professionals with your queries. 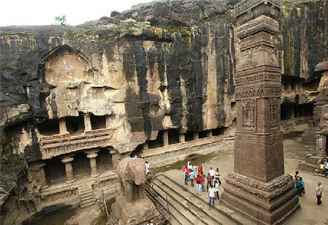 Situated at a distance of 107 km north of Aurangabad, Ajanta Caves date from the 1st and 2nd century. Ajanta Caves display some of the masterwork of Buddhist religious artform. Later in the Gupta era, many more richly decorated caves were added to the originals. With its continuous succession of monuments dating from A.D. 600 to 1000, Ellora represents a complex artistic union of Buddhism, Hinduism and Jainism. Locally these caves are known as 'Verul Leni'. 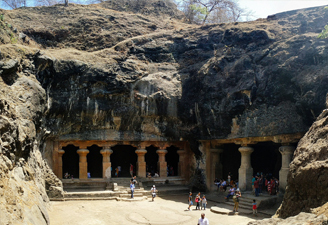 The Elephanta Caves lie 7 km from the shore of the mainland. This island is named after a colossal elephant, 'Gharapuri', found in the island. You will find there seven cave extensions which are datable from approximately 6th - 7th centuries A.D. 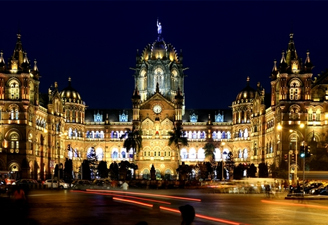 The Chhatrapati Shivaji Terminus, Mumbai, was once known as Victoria Terminus Station. The building, designed by the British architect F. W. Stevens, is a fine fusion of Victorian Gothic Revival architecture and Indian traditional architecture. Built in the thirteenth century, during the reign of the Eastern Ganga king Narasimhadeva - I, Konark Sun Temple encompassed a chamber with a lofty sikhara, a Jagamohana and an isolated nata-mandira in the same axis, besides numerous subsidiary shrines. 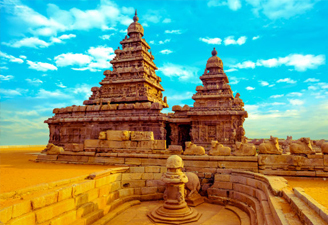 Mahabalipuram or Mamallapuram was founded by Pallava kings. 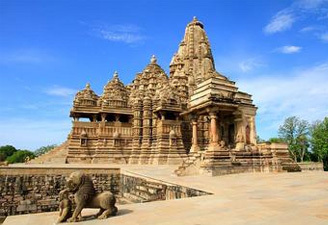 This 7th and 8th centuries rock cut constructions are known for their rathas (temples in the form of chariots), mandapas (cave sanctuaries) and the temple of Rivage, with thousands of sculptures to the glory of Shiva. 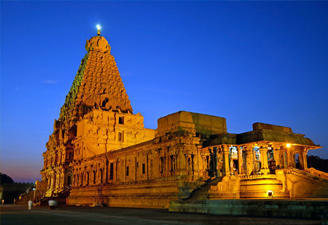 Sprawled all over the south India and the neighbouring islands, The Great Living Chola Temples were buit by the Chola kings. 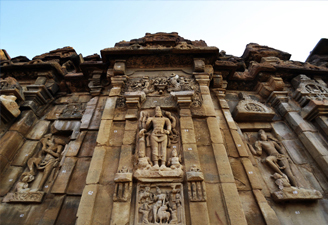 Among these temples Brihadisvara Temple at Thanjavur; Temple of Gangaikondacholisvaram, and Airavatesvara Temple at Darasuram, Tamil Nadu are the most famous. Ticket Rates : Admission is free. 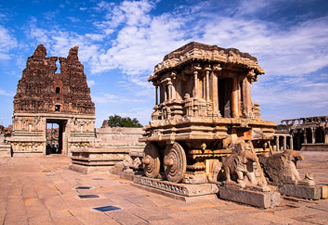 The Vijaynagar city ruins near the village of Hampi, are one of the most fascinating historical sites in India. Queen's Bath, Lotus Mahal, the huge Elephant Stables, the splendid Vitthal Temple, the Stone Chariot, the Virupaksha Temple, the Pushkarini Tank, the Mahanavami Dibba, etc are some fascinating features of this city. 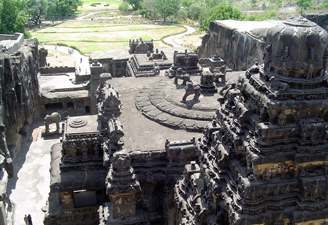 This heritage site is placed in Bijapur district of Karnataka. This is the place where former Bijapur king's holly coronation used to take place. Besides Chalukyan architectural activities this sites is also very famous for the blending of the Rekha, Nagara, Prasada and the Dravida Vimana styles of temple building. 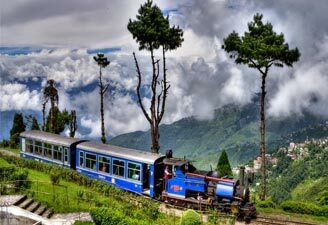 This 46 km long metre-gauge single-track railway in Tamil Nadu State, now comes under the Nilgiri Mountain Railway. This 326 m to 2,203 m high costruction still in use today. It exhibits the latest technologies of the time.